Immunoblotting is a procedure routinely used to analyze calpastatin expression. However, immunoblotting alone may not be adequate for this task, since calpastatin isoforms can vary by tissue, can be modified by partial digestion, and can undergo posttranslational modifications. 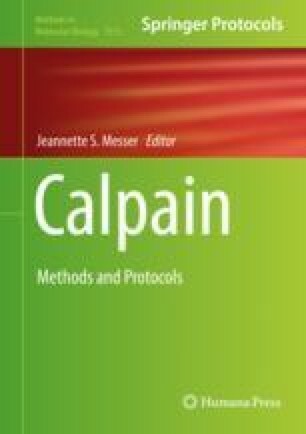 Here we describe a method for more precise evaluation of calpastatin expression by combining immunoblot analysis with an assay for the inhibitory activity of a single calpastatin species isolated by SDS-PAGE and protein elution from the gel. This work was supported by grants FRA2015 and FRA2016 from the University of Genoa to MA and RDT.